Rumors have been going around for a while about who will star in DC's 2016 film Suicide Squad, directed by David Ayer. But after months of speculation, it has finally been confirmed who will be in the film, and what the team's roster will be. 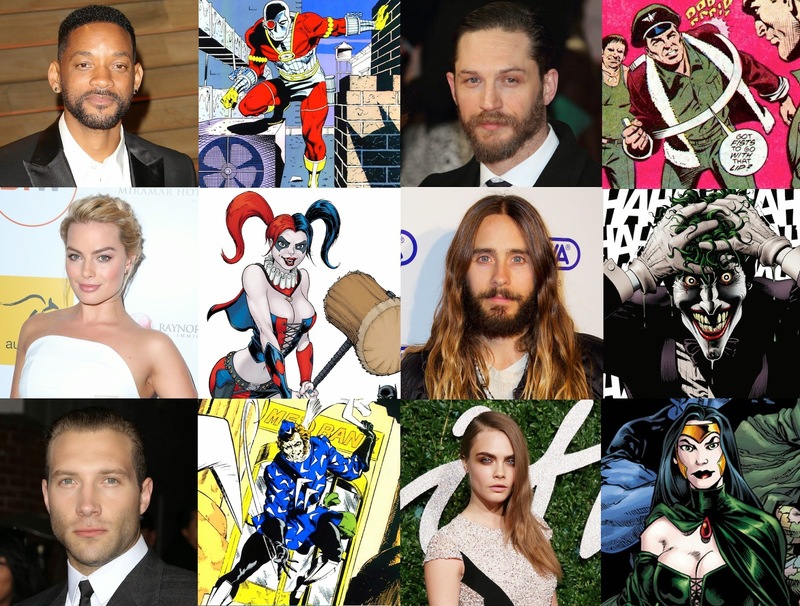 The official cast is Will Smith as Deadshot, Jai Courtney as Captain Boomerang, Jared Leto as the Joker, Margot Robbie as Harley Quinn, Cara Delevingne as Enchantress and Tom Hardy as Rick Flagg. What's interesting is that these are the same names that have been rumored from the beginning. The only real change was that originally Smith was rumored as Captain Boomerang and Ryan Gosling as Deadshot. While I would have preferred that better, I still like Smith as Deadshot. Courtney hasn't been doing that well recently, but I think he'll do good in this movie. I just recently wrote a whole article about Leto as the Joker, which states all my thoughts about it (you can read it here). While I didn't get a chance to see Robbie in The Wolf of Wall Street, I think she'll do a good job. I have never heard of Hardy or Delevingne's characters but they are great actors. The first thing that came to my mind was how talented this cast is. They really went for the heavy-hitter, A-list actors for this movie. And with a director like David Ayer behind the camera, I think it's going to be awesome. I just don't know how the Joker fits into this. I don't see him being apart of any kind of team. Maybe he just has a smaller role in the film and he's not actually part of the Suicide Squad. But if was, I just don't see it in his character. I trust Ayer to figure all of that out. What do you think? Do you like the cast? Are you looking forward to Suicide Squad? Leave your thoughts in the comments section below.